December 5-9 was the Week of Code, and we made every effort to participate in a big way at Helena High School. 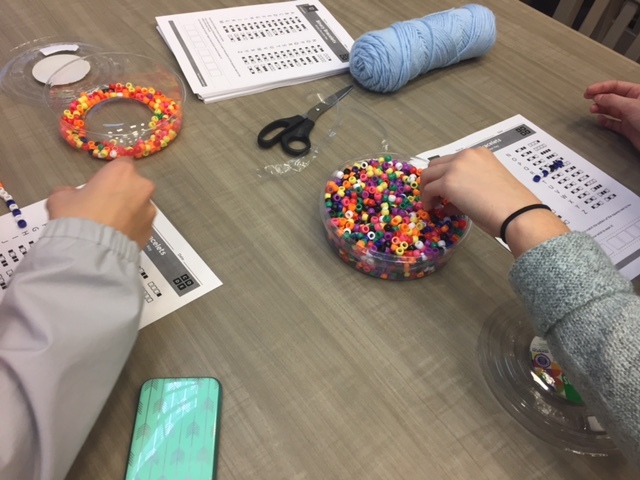 Reaching out to our Career Prep and Math departments enabled us to bring in almost every student in the school to code for close to an hour each. There were some class periods when we had three large groups going at once (a literal three-ring coding circus! ), and we were pleasantly exhausted at the end of the week! Superhero coding – After making a game board out of poster paper and duct tape, we put out some 3D printed cones (“obstacles”), a set of superhero figures, and a script sheet which students used to program their superhero across the game board. Human coding – Same process as with the Superhero game, only with a grid made out of two shower curtains and duct tape. Instead of cups at a table, we used actual human pairs, the life-size grid, and magazines for the obstacles on this game board. As an added challenge we had the robot partner move with their eyes closed. Binary bracelets – With a simple setup of string, scissors, and beads, students were surprised to see how coding translates into symbols. Lego Mindstorm EV3 – Kids built, rebuilt, and tweaked a variety of robots with this Lego set. They used their own iOS device/Mindstorm app to program them. 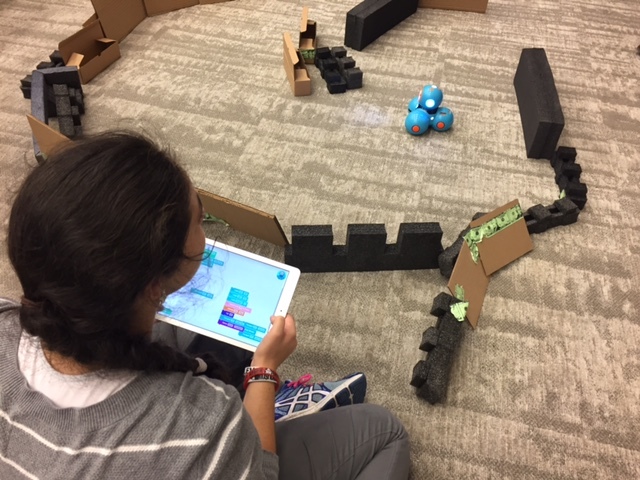 Sphero – We introduced the Sphero robot this year to our students and they love driving it around through obstacles. Hour of Code gave us the opportunity to encourage the kids to take it to the next level and use the coding feature to program Sphero to accomplish a variety of tasks. Dot and Dash – Dot and Dash were used with one of our iPads to program them to accomplish certain functions. Pile of trash – You know how we librarians can be…if we get one package in the mail, we are saving all the inner packing and foam pieces “just in case” we can reuse them! 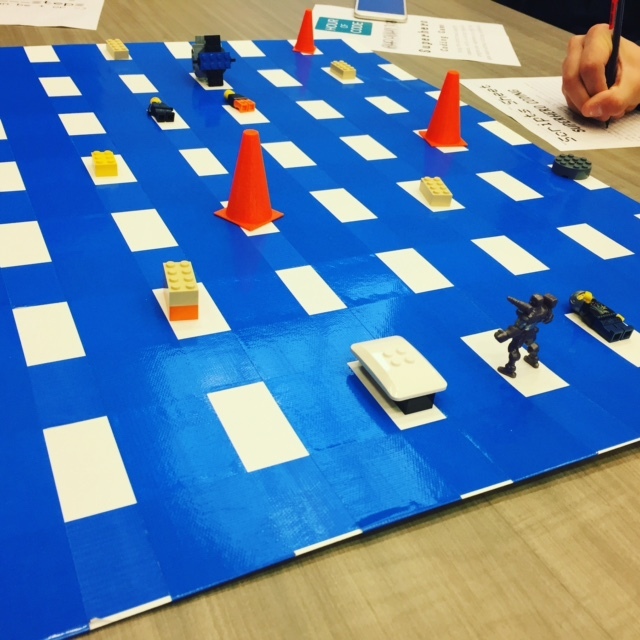 We were able to hand a pile of cardboard, duct tape, and foam bits to some of our students and they used them to creatively design (and redesign…and redesign!) mazes to create challenges for the Sphero and Dot/Dash combo. 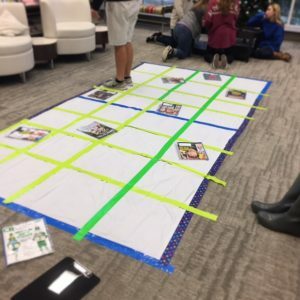 Though some may think it isn’t a natural connection to the library program, participating in the Hour of Code movement is just one example of many ways we strive reach out to all departments and all curricular areas for some cross-curricular connections. Many of our students coded for the first time, and we are happy to say that now they are hooked!